Login to my flowers4russia.com account to track the status of your order or visit our customer service page. 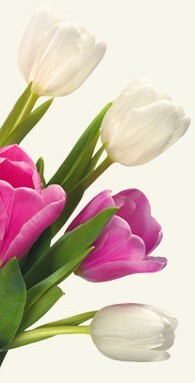 Login to my flowers4russia.com account to modify your order or visit our customer service page. All changes must be 24 hours before delivery. After that time, we cannot guarantee there will be enough time for the changes you request. At Flowers for Russia we only use the very best in security for our online payments. We use PayPal for our online payments and as one of the largest payment processors in the world their security is top notch. flowers4russia.com keeps customer information completely confidential. Our company does not share customers' personal information for third-party use or sell it to advertising agencies. In the event of a legal requirement, fraud, or law-enforcement request, your personal information may be shared upon request from the relevant authorities. The delivery costs are: Abakan Abakan City 10.00 USD, Aginskoe Aginskoe City 10.00 USD, Anadyr Anadyr City 10.00 USD, Arkhangelsk Arkhangelsk City 10.00 USD, Astrakhan Astrakhan City 10.00 USD, Barnaul Barnaul City 10.00 USD, Belgorod Belgorod City 10.00 USD, Birobidzhan Birobidzhan City 10.00 USD, Blagoveshhensk Blagoveshhensk City 10.00 USD, Bryansk Bryansk City 10.00 USD, Cheboksary Cheboksary City 10.00 USD, Chelyabinsk Chelyabinsk City 10.00 USD, Cherkessk Cherkessk City 10.00 USD, Chita Chita City 10.00 USD, Dudinka Dudinka City 10.00 USD, Ekaterinburg Ekaterinburg City 10.00 USD, Elista Elista City 10.00 USD, Gorno Altajsk 10.00 USD, Groznyj Groznyj City 10.00 USD, Irkutsk Irkutsk City 10.00 USD, Ivanovo Invanovo City 10.00 USD, Izhevsk Izhevsk City 10.00 USD, Joshkar Ola Joshkar Ola City 10.00 USD, Kaliningrad Kaliningrad City 10.00 USD, Kaluga Kaluga City 10.00 USD, Kazan Kanzan City 10.00 USD, Kemerovo Kemerovo City 10.00 USD, Khabarovsk Khabarovsk City 10.00 USD, Khanty Mansijsk Khanty Mansijsk City 10.00 USD, Kirov Kirov City 10.00 USD, Kostroma Kostroma City 10.00 USD, Krasnodar Krasnodar City 10.00 USD, Krasnoyarsk Krasnoyarsk City 10.00 USD, Kudymkar Kudymkar City 10.00 USD, Kurgan Kurgan City 10.00 USD, Kursk Kursk City 10.00 USD, Kyzyl Kyzyl City 10.00 USD, Lipetsk Lipetsk City 10.00 USD, Magadan Magadan City 10.00 USD, Majkop Majkop City 10.00 USD, Makhachkala Makhachkala City 10.00 USD, Moscow Moscow City 10.00 USD, Murmansk Murmansk City 10.00 USD, Naryan Mar Naryan Mar City 10.00 USD, Nazran Nazran City 10.00 USD, Nizhny Novgorod Nizhny Novgorod City 10.00 USD, Novgorod Novgorod City 10.00 USD, Novokuznetsk 10.00 USD, Novosibirsk Novosibirsk City 10.00 USD, Omsk Omsk City 10.00 USD, Orenburg Orenburg City 10.00 USD, Oryol Oryol City 10.00 USD, Palana Palana City 10.00 USD, Penza Penza City 10.00 USD, Perm Perm City 10.00 USD, Petropavlovsk-Kamcha Petropavlovsk-Kamchatskij City 10.00 USD, Petrozabodsk Petrozavodsk City 10.00 USD, Pskov Pskov City 10.00 USD, Rostov na Donu Rostov na Donu City 10.00 USD, Ryazan Ryazan City 10.00 USD, Saint Petersburg Saint Petersburg City 10.00 USD, Salekhard Salekhard City 10.00 USD, Samara Samara City 10.00 USD, Saransk Saransk City 10.00 USD, Saratov Saratov City 10.00 USD, Smolensk Smolensk City 10.00 USD, Stavropol Stavropol City 10.00 USD, Syktyvkar Syktyvkar City 10.00 USD, Tambov Tambov City 10.00 USD, Tomsk Tomsk City 10.00 USD, Tula Tula City 10.00 USD, Tura Tura City 10.00 USD, Tver Tver City 10.00 USD, Tyumen Tyumen City 10.00 USD, Ufa Ufa City 10.00 USD, Ulan Ude Ulan Ude City 10.00 USD, Ulyanovsk Ulyanovsk City 10.00 USD, Ust Ordynka Ust Ordynka City 10.00 USD, Vladikavkaz Vladikavkaz City 10.00 USD, Vladimir Vladimir City 10.00 USD, Volgograd Volgograd City 10.00 USD, Vologda Vologda City 10.00 USD, Voronezh Voronezh City 10.00 USD, Yakutsk Yakutsk City 10.00 USD, Yaroslavl Yaroslavl City 10.00 USD and Yuzhno Sakhalinsk Yuzhno Sakhalinsk City 10.00 USD. How do I contact flowers4russia.com customer service if there is a problem? 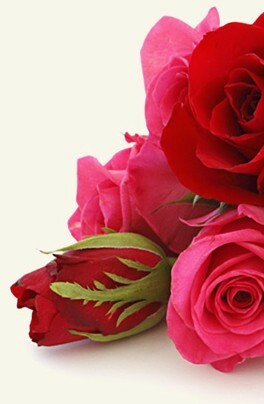 Use my flowers4russia.com account to access your account and contact customer service. Alternatively, call our customer service department.